This vital book covers torture from three points of view. It’ll make you think about U.S. policy on torture—whether for the former or the current administration. 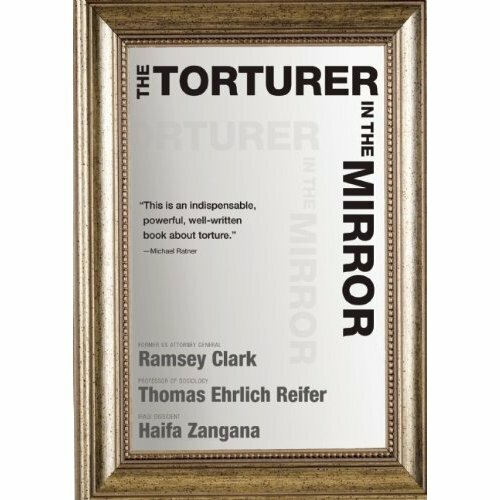 Former U.S. Attorney General Ramsey Clark, Professor of sociology Thomas Ehrlich Reifer and Iraqi dissident Haifa Zangana each enlighten the reader with their personal and professional opinions about torture. Of course it’s all anti-torture, so the book is one-sided but I’m not sure that anyone would write about being pro-torture. Torture is most common where fear and hatred are greatest, where human freedom is most fragile, where tyranny and militarism are most powerful, and where gentleness, idealism, and liberty are hard to find. The prevalence of fear is an essential condition among a free people before they will knowingly accept torture by their government; conversely, during ages of reform, enlightenment, and belief in the possibility of progress and freedom, the act has been most condemned and its existence most hidden from view. So even though Guantanamo may in fact be closed under the Obama administration, the systemic problem will continue to exist unless there is a radical change in policy. Another issue of profound importance is the whole question of secrecy and transparency in government. My personal experience of torture is dominated by a sense of humiliation and powerlessness. Torturers, whether Americans acting on behalf of a democratically elected government or Iraqis acting on behalf of tyranny, have one aim in mind: to break your will. When you are stripped of your clothes, you are stripped of your self-respect and dignity, and gradually your humanity. You are reduced to begging for the most basic of needs: a drink of water, or to go to the toilet, or, for a woman, to have some sanitary towels. For the tortured, it is a lifelong scar. This entry was posted on September 14, 2010, 23:46 and is filed under Books. You can follow any responses to this entry through RSS 2.0. Both comments and pings are currently closed.